Clinical Professor at the University of Southern California, School of Dentistry, Department of Graduate Prosthodontics; private practice in prosthodontics in Chula Vista, California. 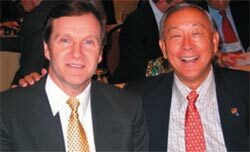 Dr. Tanaka is the founder and director of the "TMD and Restorative Dentistry Study Groups" held at the University of California, San Diego, School of Medicine, since 1982. He has published numerous articles and is widely recognized as a research anatomist and for his teaching of advanced restorative procedures. He is highly sought after as a speaker throughout the world, and is known for his exciting presentations and outstanding clinical skills. His educational videotapes on TM Dysfunction, Anatomy and Implants are used in over 80 medical and dental schools and surgery programs throughout the world. 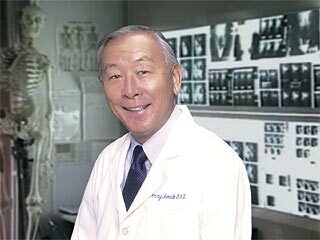 Dr. Tanaka holds Fellowships in the Academy of Dentistry International, American College of Dentists, International College of Dentists and is a Master, Academy of General Dentistry, and is a Diplomate, American Board of Orofacial Pain. He is a member of the Pacific Coast Society of Prosthodontists, American Academy of Restorative Dentistry, American Academy of Orofacial Pain and the American Equilibration Society, among others.